Smith & McGhee, PC, is an established Alabama law firm that is committed to representing clients with vigorous advocacy. Our firm offers highly personalized legal services and is driven by client satisfaction. We take legal matters very seriously and never back down from a challenging situation. Located in Dothan, our law firm represents clients throughout the surrounding areas in criminal defense, family law, estate planning, estate administration and personal injury. Our approach to practicing law is simple: let us do what we do best so you can focus on you and your family. We take initiative when handling cases, regardless of the level of complexity involved in your case. Our team is solution-oriented, compassionate and known for being creative in seeking effective resolutions to legal issues. Many of our clients come to us as referrals from others in the legal profession, past clients and others. Our lawyers are recognized in the legal community and by Alabama natives. We know the community, the surrounding areas and how to approach complex cases in the Alabama court system. Whether you are facing criminal charges, seeking a divorce or have been seriously injured in a car collision, you can count on our team to protect your interests. The attorneys at Smith & McGhee, PC, welcome the opportunity to talk to you about the legal issue you are facing. When you meet with our team, you will talk directly with an experienced and dedicated attorney at our firm. Focused in the areas of criminal defense, family law, estate planning, probate and personal injury, we handle all related matters. With so much at stake, you can feel confident turning to the Dothan DUI lawyers at Smith & McGhee, PC. Our attorneys provide skilled drunk driving defense services to people facing their first, second, third or even fourth DUI arrest. 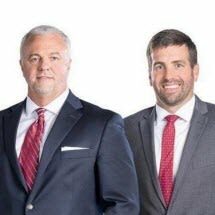 At Smith & McGhee, PC, we are highly skilled Houston County marijuana possession defense lawyers. We can build a strong defense on your behalf to protect your rights, freedoms and future. If you have been accused of an assault or a similar offense, having an experienced criminal defense attorney on your side is extremely important if you want to reach the best possible outcome. Contact us at 334-316-4308 for advice about your case. At Smith & McGhee, PC, we take great care in informing our clients about their rights and what they can expect. We can help you understand divorce law and how it can benefit you. Whether child support is called for as part of a divorce decree or as an arrangement for parents who were never married, it should be fair and equitable to those who pay and receive it ? and it should be paid as ordered by a court.